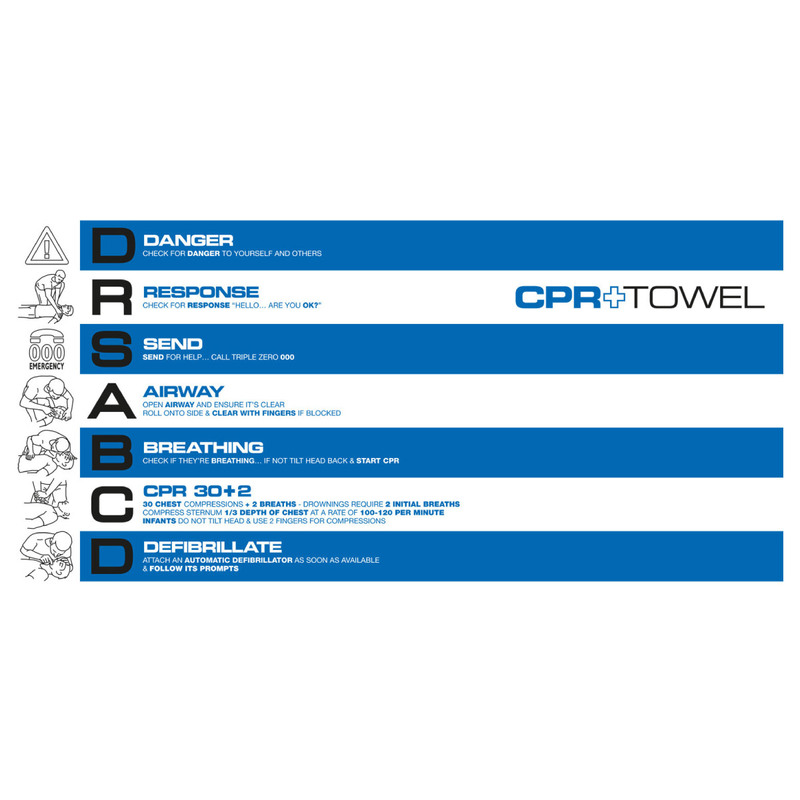 Promote a safety message and potentially help save a life with these towels. 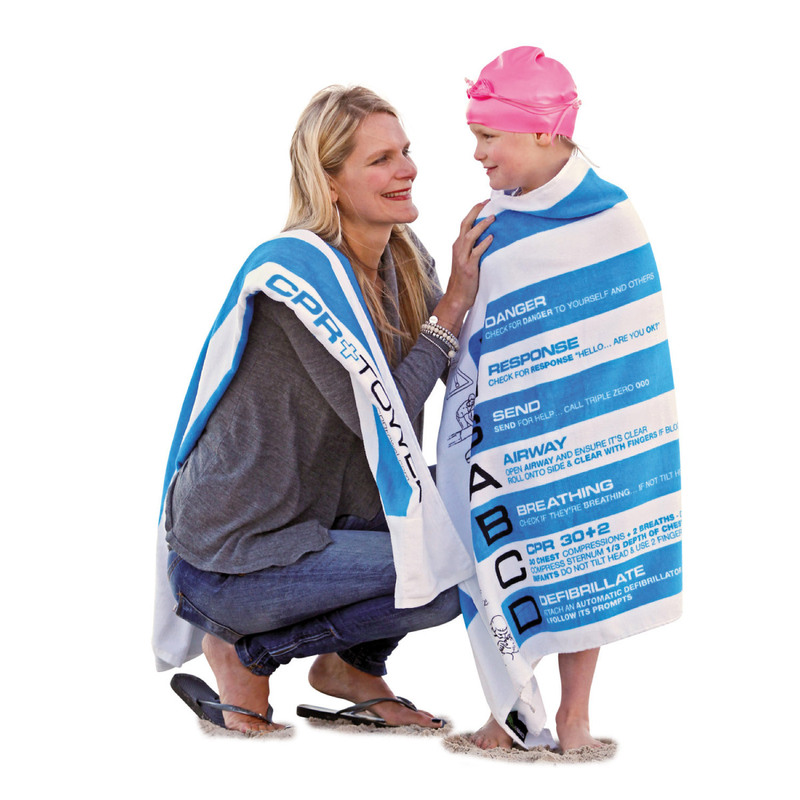 Would you know what to do if a friend or child was face down in a pool not breathing? Over 92% of people don't! 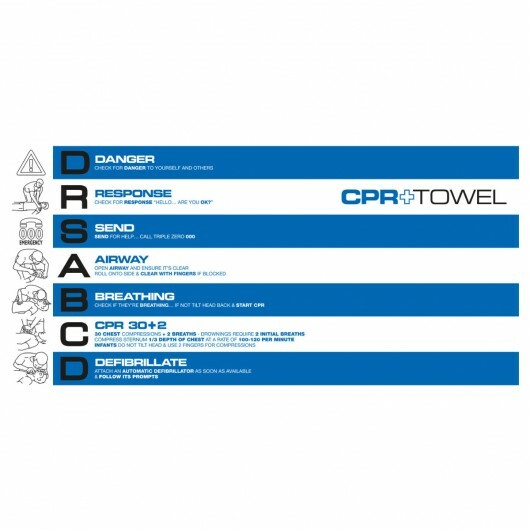 These towels let you know what to do and could potentially help to save a life. These towels offer you a unique opportunity to align your brand with a safety message. They are designed in Australia and proudly support the Samual Morris Foundation.